It wasn’t even front page news, one hundred and sixty years ago yesterday. It came to be considered one of the very worst decisions ever of the United States Supreme Court. 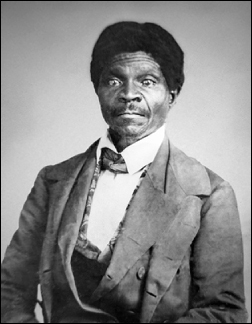 The case: Dred Scott v. Sandford, 60 U.S. 393 (1857). Decision date: 6 March 1857. Their votes were not enough. The decision stood. Dred Scott — and every other natural-born American whose ancestors had been enslaved — was not a citizen of the United States. He could not sue in the federal courts to protect and win his freedom. Scott himself was emancipated later in 1857, but lived only 18 months as a free man before dying of tuberculosis.10 His name, however, became a symbol of judicial oppression. And yet it wasn’t even on page one of the newspapers the day after the decision… 160 years ago yesterday. Yes, and what makes this feel worse is that I’ve been reading “Founding Brothers: The Revolutionary Generation” by Joseph J. Ellis, and the founders could have fixed this at the beginning but didn’t. The chapter is called “The Silence,” and it actually drove me to tears. It wasn’t because they thought people of color weren’t equal, it was the economy, and the largest state at the time, Virginia, had a big say in the issue, or, as it became, a non-issue. It is a legacy of shame, for sure.